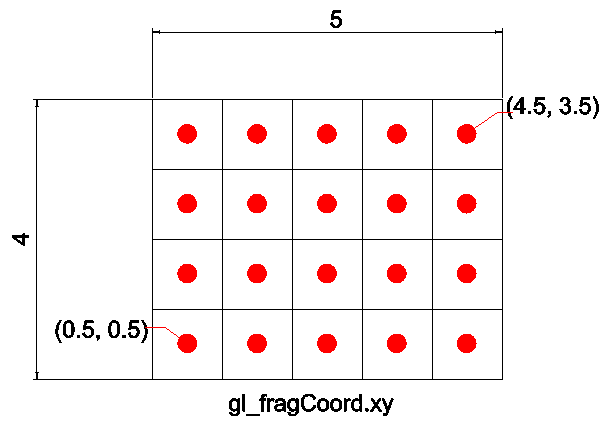 If gl_FragCoord is like pixel coordinates, what does uv get? Why is it often done in GLSL? If someone could even draw an example of which part of the screen will be UV it will be very helpful! Why are uvs needed? For example I rendered geometry to screen quad and then I need to apply some postprocessing on this quad in another rendering pass. To sample from that quad I need texture coordinates in range [0, 1]. So to calculate them I perform division gl_FragCoord.xy / viewPortSize.